If you didn’t know Ken Hokugo (aka KIH) before, you got a chance to get to know him through the interview we published a little before this article. As we already said, Ken is a Japanese collector and a Seiko guru for many Seiko lovers across the globe. He’s been very active in the watch world for a while now and has a deep knowledge and understanding of watchmaking in general. Being Japanese, he has access to a lot of information on our beloved brand but he also really understands the values and philosophy of Seiko. 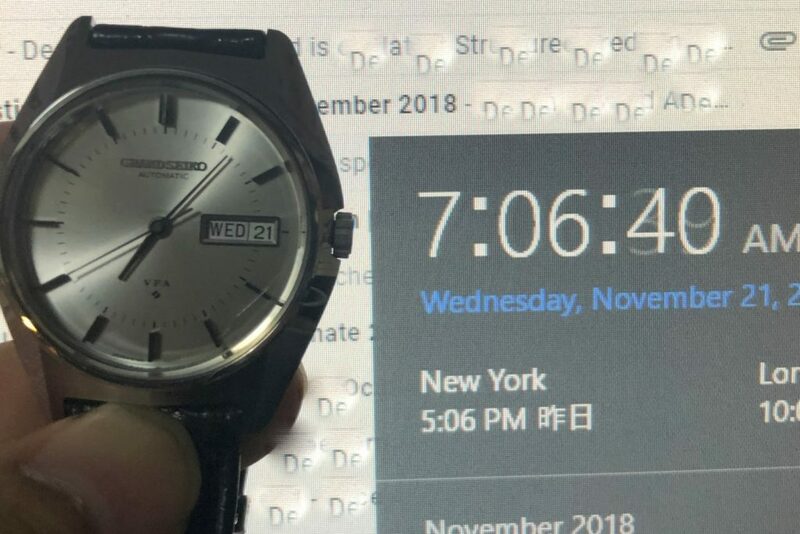 He used to share his passion and insights on famous forums and now focuses on Watch Media Online, a Japanese watch site, and Luxe178, a new platform interlinked with AlphaLuxe.com. 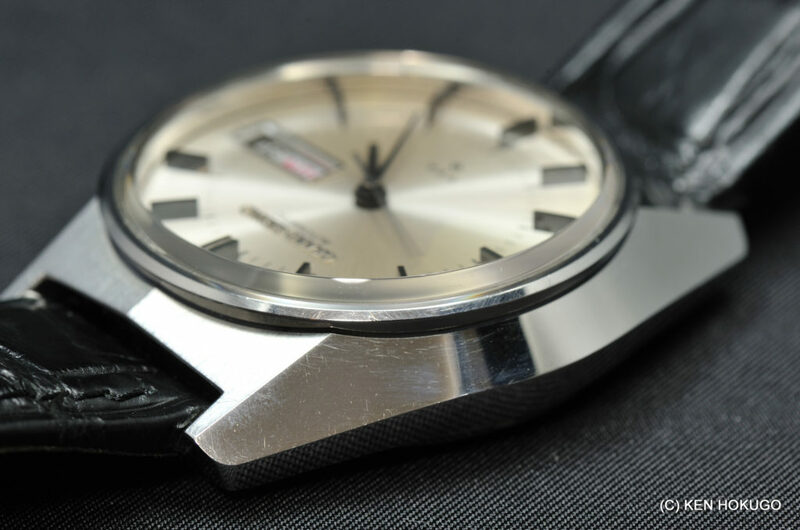 Ken became a good friend of us and we are very happy to host a great article he wrote a while ago about the legendary Grand Seiko VFA. 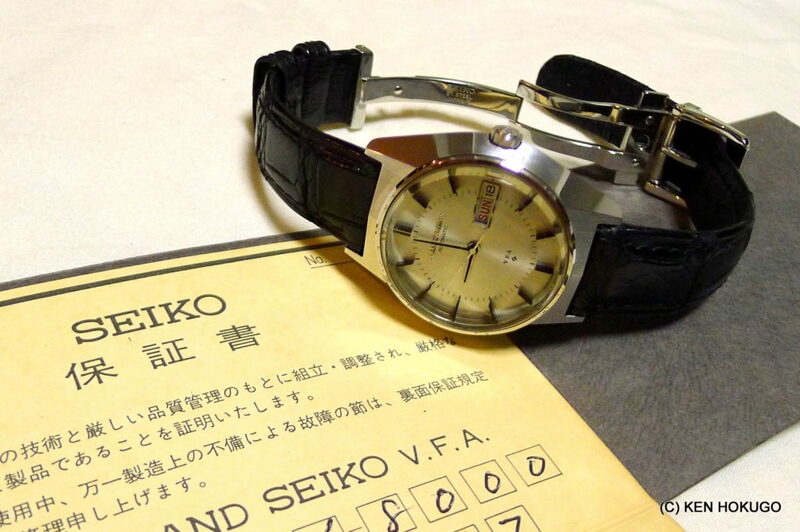 What we love about this article is that it doesn’t just focus on the VFA but shows that Seiko’s history is a very rich one and that such a watch has links to both the past, the present and can even lead to some talk about the future. This article is not just cold facts about references and things like that (even though there’s absolutely nothing wrong about it), but this article talks about the role the VFAs played, the context of their birth, the impact this watch had on Seiko and many other things. 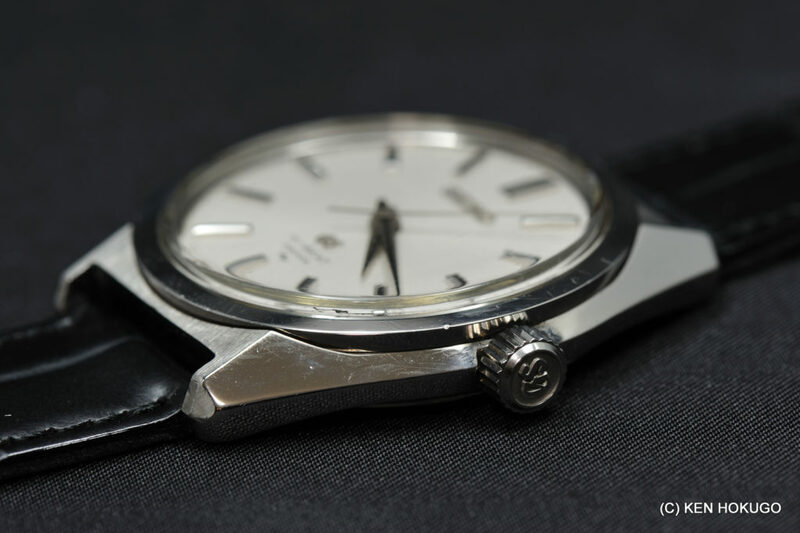 It shows that Seiko’s history is not just a stream of catalogues and references but has many intertwined connections to a lot of other things and that talking about the VFA can lead to talk about the birth of Suwa Seikosha or the 130th Anniversary models. And we believe that this is why Ken is such an interesting guy to talk with: he understands Seiko. That and the fact that he is an extremely nice guy obviously ! We only did some very minor changes to the article (with Ken’s approval) and decided to leave it mostly as Ken wrote it back then, even though there might be some imprecisions and details that could be discussed. So, here is his article with a little Addendum seven years after he first wrote it. We hope you’ll enjoy it as much as we did ! 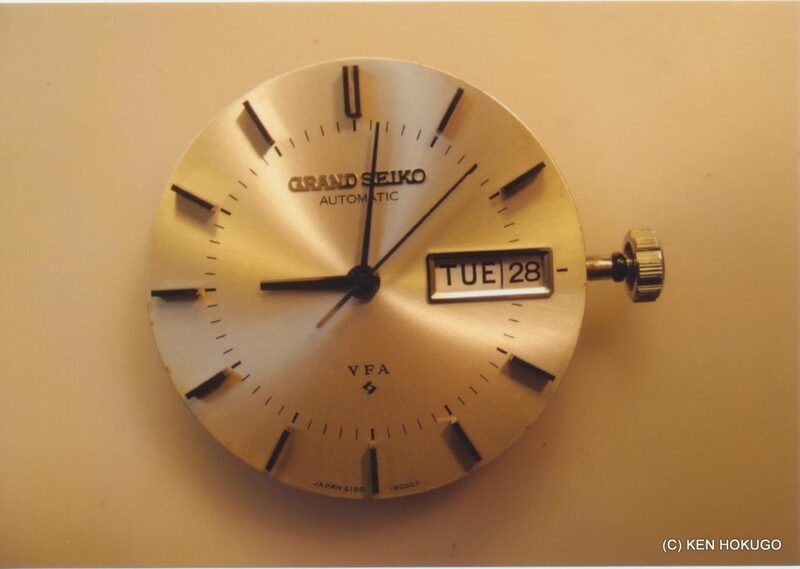 Grand Seiko VFA and Observatory Chronometer Competition in 60s. As I posted briefly a few months ago, I have acquired a Grand Seiko VFA by pure luck. 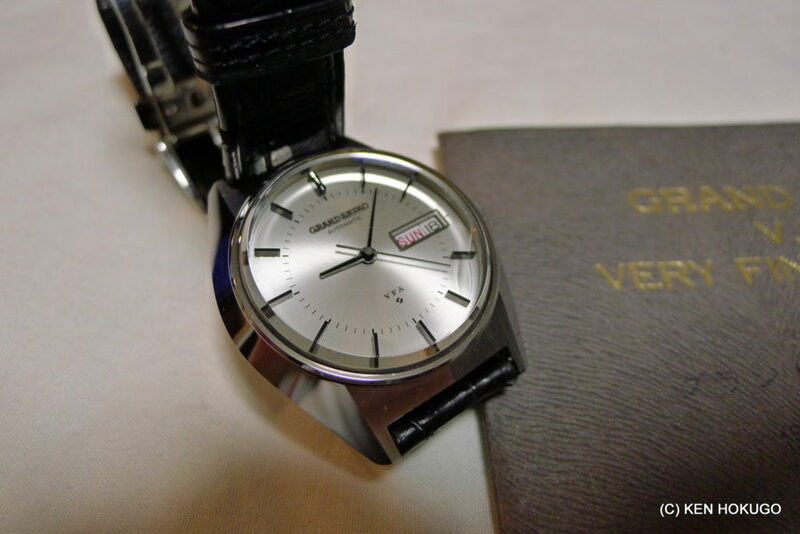 I love Grand Seiko and the VFA was/is THE ultimate Grand Seiko. Many of you may be wondering “what is the fuss?” understandably. 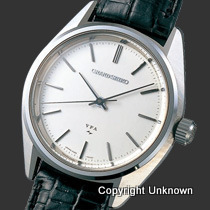 I did some research and the summary of the history of SEIKO’s endeavor in 60’s to improve itself by entering the Competition and the surprising result, and the story of VFA pieces. VFA stands for, pardon the weird English as it was made 40 years ago, « Very Fine Adjusted ». Before COSC, there was Observatory Chronometer certified by the astronomical observatories such as the Neuchâtel, Geneva, Besançon, and Kew Observatory (to be perfect, there was BO Chronometer standard – effort led by Rolex – between those two). There were also “Observatory Chronometer Competitions” at those observatories every year until 69 or 70 when quartz movements became prevalent. This Observatory Chronometer testing and certification was far tougher than today’s COSC. For example, average daily deviation must be within +/- 0.75 sec, while COSC requirement is -4/+6 sec., thermal variation must be within +/- 0.20 sec. per day while COSC requirement is +/- 0.60 sec., etc…. and the duration of the test was 45 days while COSC’s is 15 days. The standard was so high that the manufacturers typically sent the movements specifically built for that purpose alone to the observatory for testing. It is like F1 cars in that the car is expected to last only for one race, but not for everyday use. 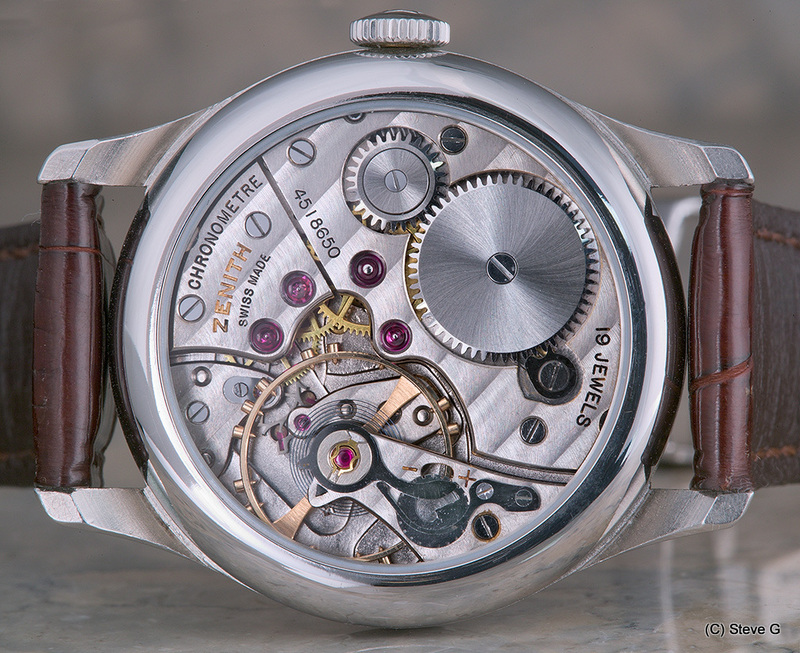 The only manufacturers who sold the actual movements/watches which passed the observatory chronometer testing are Girard-Perregaux, Waltham (pocket watch), and SEIKO. 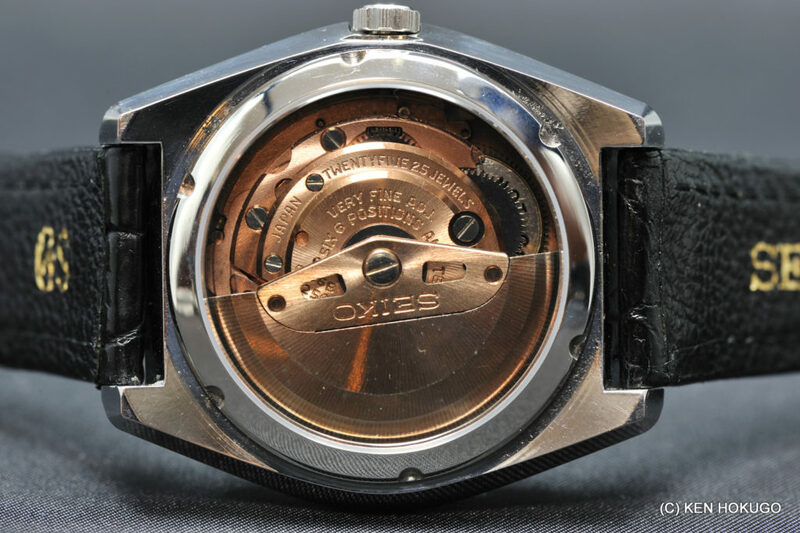 The well-known (thus legendary in a way) movements created for this competition were Péseux 260, Zenith 135, Longines 360, Girard-Perregaux 32A and SEIKO 45. 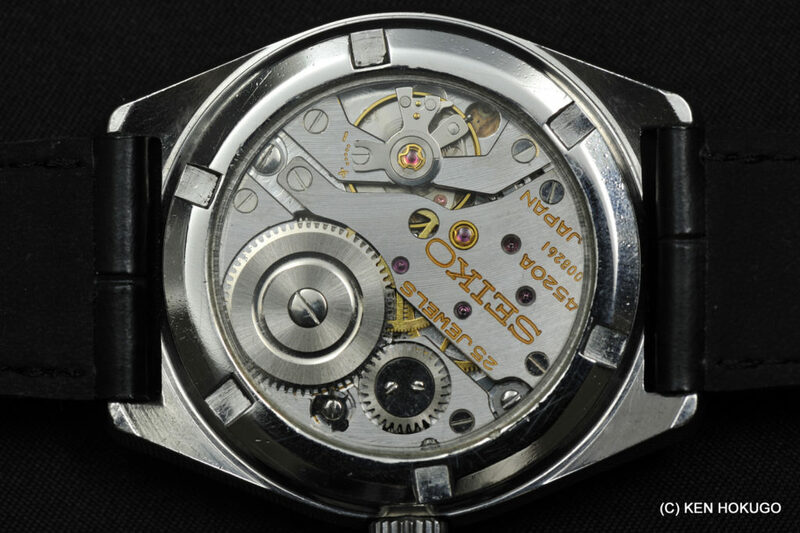 But other than GP and SEIKO, those movements which actually passed the competition were never sold to the public, meaning that the ones in the market were made with the same spec (but not necessarily as finely tuned) as the examples that passed the competition, not the actually certified ones. 670 GP 32A movements actually certified were sold to the public in late 60’s and so were 223 (some record says 226) SEIKO 45 (4520 and 4580) movements. 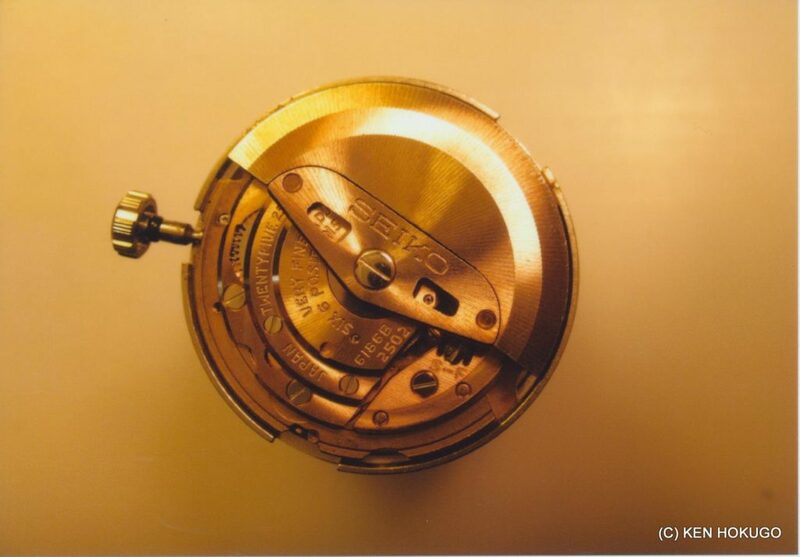 As you may know, there were, and still are, two SEIKO watch manufactures. Back then, they were called “Dai-Ni (The Second) SEIKO-sha” and “Suwa SEIKO-sha” respectively. 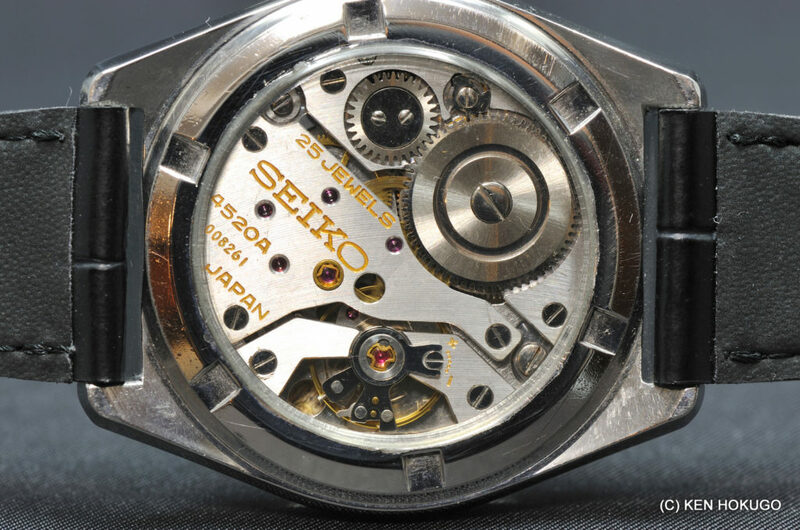 Why “the second” is because the original (=first) SEIKO-sha was created to make clocks and The Second SEIKO-sha (“sha” means “company”) was created to make wrist watches. And “Suwa” is the name of a region in Nagano prefecture, which is almost center of the long main island of Japan and still the home of today’s Japanese precision manufacturing such as SEIKO Epson. Why “Suwa” is because The Second SEIKO-sha (Daini Seikosha) had to evacuate Tokyo due to the escalating bombing on Tokyo during late WW II period, and set up a new factory there. They picked Suwa because there had been a supplier there in Suwa. 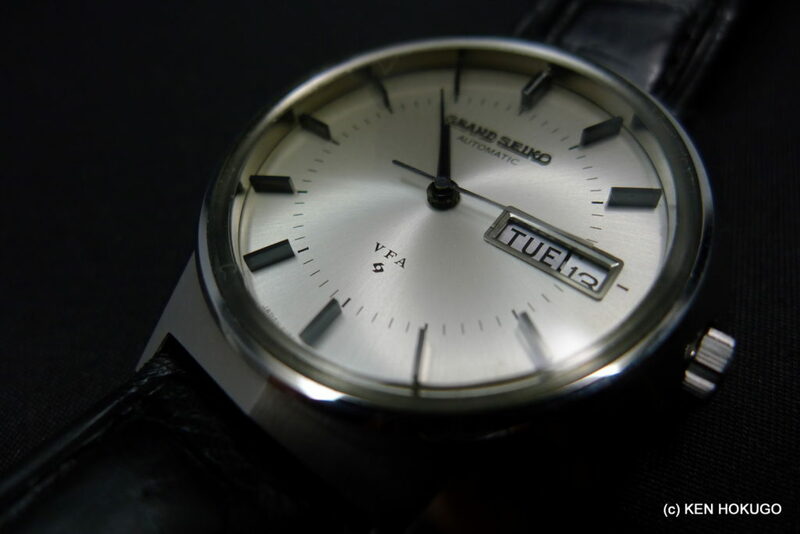 And by the twist of fate, the newer factory of The Second SEIKO-sha in Suwa and that supplier merged and created “Suwa SEIKO-sha” in 1959, an entity separate from the The Second SEIKO-sha in Tokyo (Daini Seikosha). Today, “The Second SEIKO-sha” in Tokyo is called “SEIKO Instruments Inc. (SII)” and “Suwa SEIKO-sha” is “SEIKO Epson”, respectively. 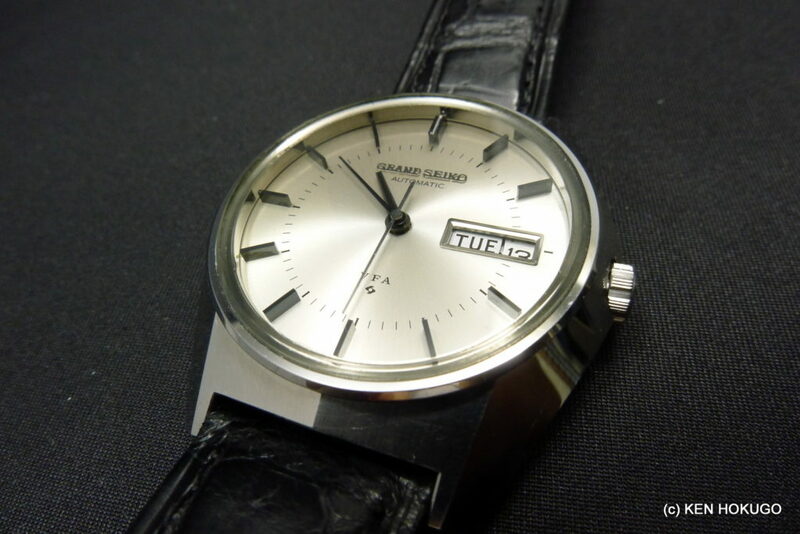 SII is the subsidiary of SEIKO Holdings and owns Morioka SII in which they have “Shizukuishi Watch Studio”, today’s main factory of the mechanical Grand Seiko (see the past report by SJX and me on watchesbysjx.com). On the other hand, SEIKO Epson is now itself an independent company and listed on Tokyo Stock Exchange, as does SEIKO Holdings, independent of each other. There is no cross-holdings between those two entities (I am sure the founder’s family, the Hattoris, own both). SEIKO Epson is now far more famous for its printer products, but makes Grand Seiko as well, mostly quartz and Spring Drive. The Spring Drive Minute Repeater this year and Sonnerie before were both created by SEIKO Epson team, under the brand “Credor”. 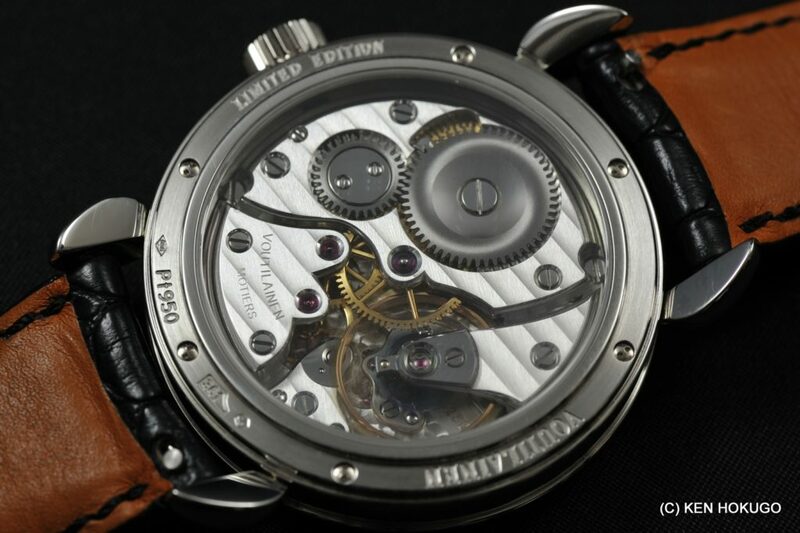 No wonder why it is based on the Spring Drive watch movement, NOT mechanical watch movement. 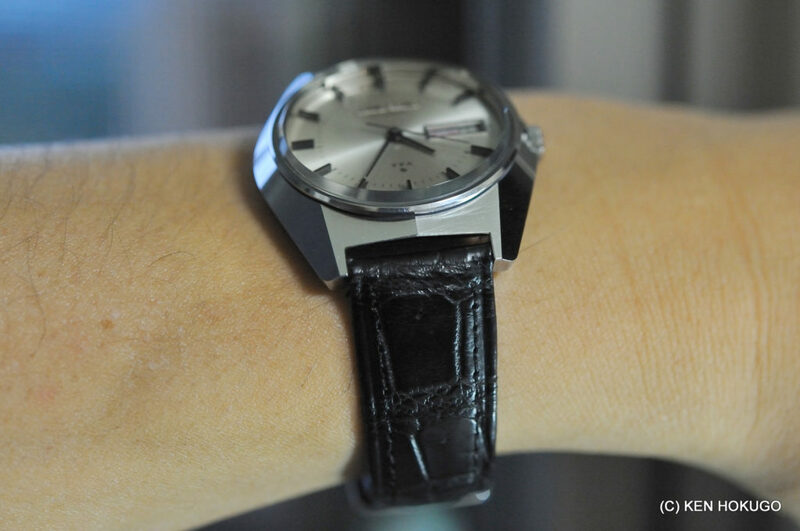 As I said before, Grand Seiko aims to be the world’s best “practical” wrist watch brand (thus, most are automatic and, for some, a bit boring design), while Credor aims to be the world’s best dress watch brand (thus, bells and whistles and sometimes bling bling). Technically speaking, SEIKO Epson is just one of the suppliers for SEIKO Watch Corporation, a SEIKO Holdings company which sells SEIKO products including Grand Seiko, Credor, etc. And it is interesting to know that this Suwa SEIKO-sha, now SEIKO Epson, is the one who created the first Grand Seiko (mechanical, of course), if I may add. Dai-Ni: Zero example prized*, Best of the submitted examples – 153th, award: None. Suwa: Zero example prized, Best of the submitted examples – 144th, award: None. Dai-Ni: 2 examples prized, Best of the submitted examples – 124th, award: Series 6th. Suwa: 1 example prized, Best of the submitted examples – 125th, award: None. Dai-Ni: 23 examples prized, Best of the submitted examples – 9th, award: Series 3rd. 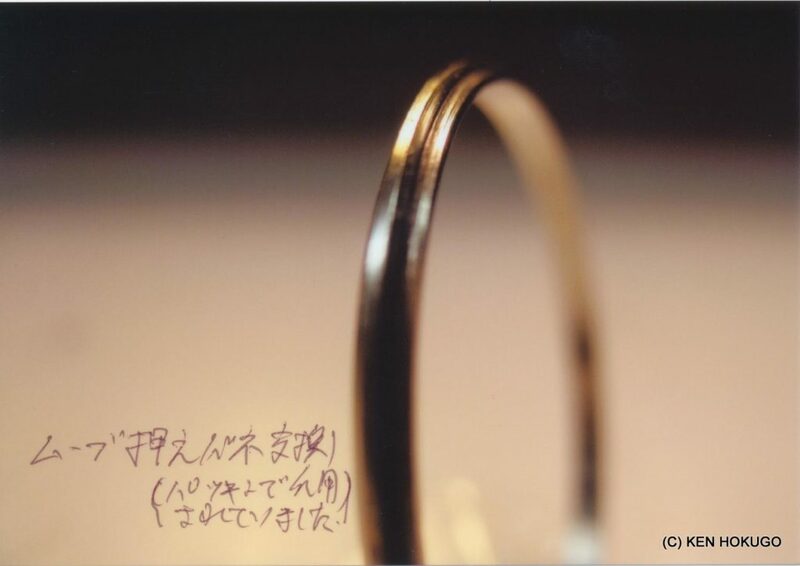 Suwa: 9 examples prized, Best of the submitted examples – 104th, award: Series 6th. Dai-Ni: 36 examples prized, Best of the submitted examples – 4th, award: Series 2nd. Suwa: 26 examples prized, Best of the submitted examples – 12th, award: Series 3rd. *”prized” means the score was within 20th place (there were many same score examples). After Suwa submitted its competition examples, Neuchâtel declared the Competition would be suspended (later it was announced that the SEIKO examples dominated the Competition by taking 2nd, and 4th – 8th places). So, both SEIKO teams submitted to Geneva Observatory instead. 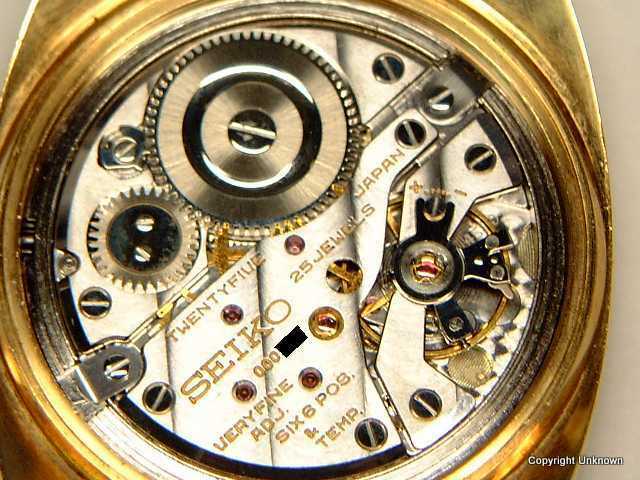 Best of the submitted examples: 4th (1st to 3rd were quartz movements), in fact from 4th to 10th were all SEIKO, which means that SEIKO movements dominated from the Top to 7th place in the mechanical watch movement division. Total wrist watch division? Of course, 1st place. As you could see, SEIKO team has advanced its technology and skill quite fast to become competitive in the global watch industry. 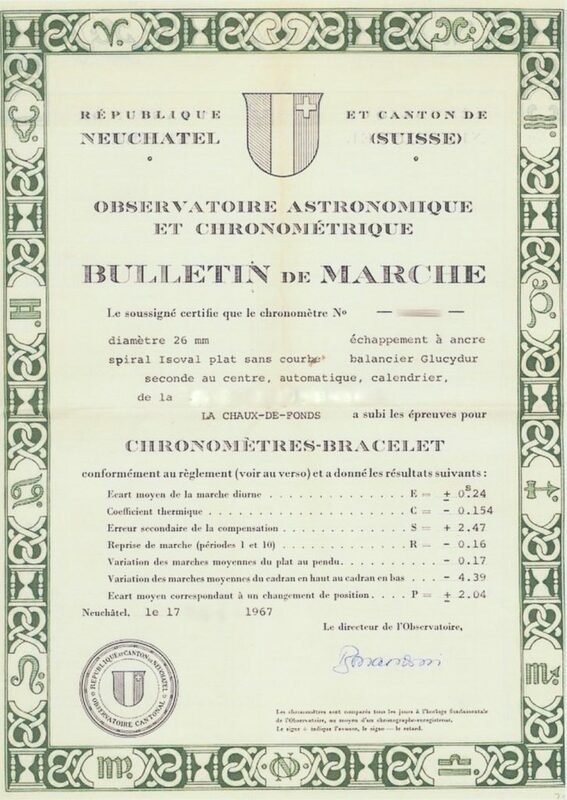 Why Neuchâtel stopped the Competition can now only be a speculation, but it continued to issue certificate “Observatoire Astronomique et Chronométrique, Bulletin de Marche” to those passed its rigorous test. 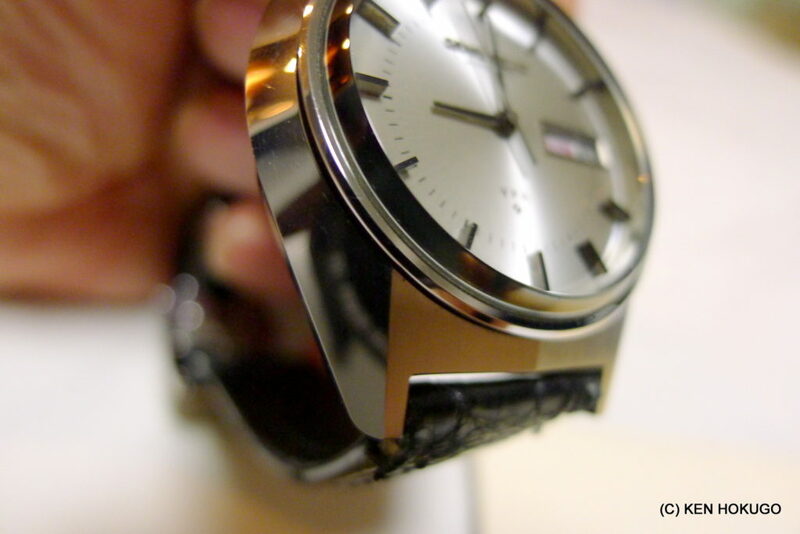 Dai-Ni (or The Second) SEIKO did continue to improve its movements and also to submit its examples. 1968: submitted 103 Cal. 4520, 73 passed and certified. 1969: submitted 30 Cal. 4580, 25 passed and certified. 1970: submitted 150 Cal. 4580, 128 passed and certified. SEIKO could (or should) have stored these examples in its museum, but sold all of them to the public. 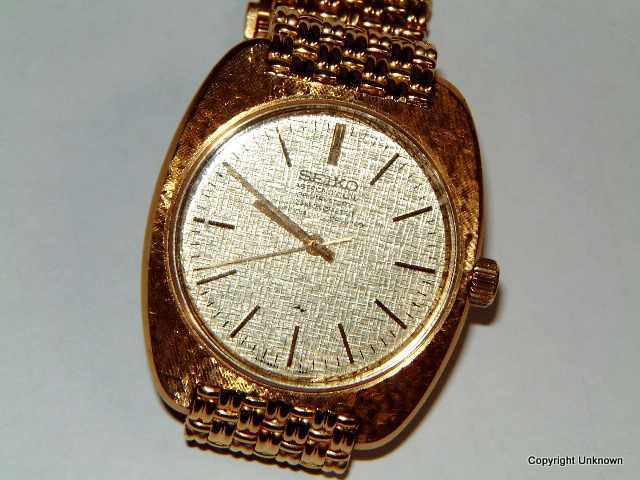 Those 223 (some record shows 226) 4520/4580 were sold as “Observatory Chronometer” in 18K yellow gold case at about USD1,800 then, which is about USD10K today and astonishingly cheap ! Many of those which passed the Neuchâtel standard and then were sold to the public had daily deviation of +/- 0.175 sec per day (the standard of the test was +/- 0.75 sec per day)…. Then the specially adjusted same Cal. 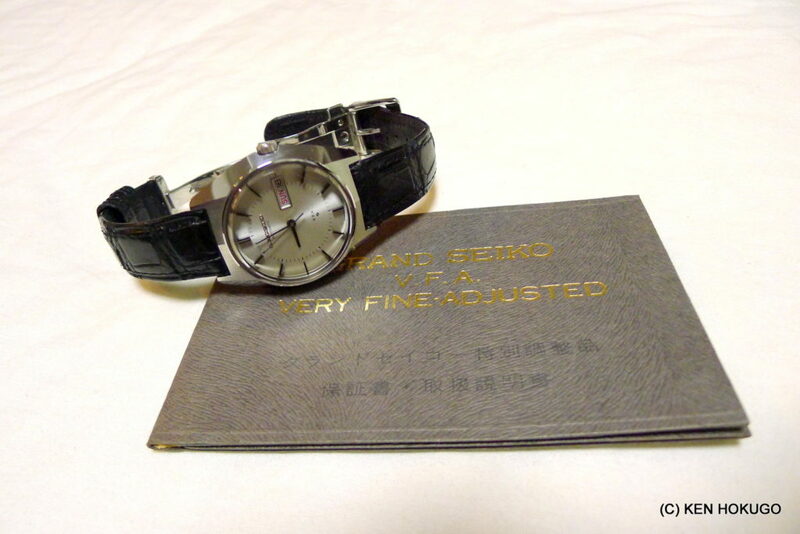 4580 were sold as “Grand Seiko 45G VFA (Very Finely Adjusted)” at about USD1,000 then in SS case. Very few were made and sold as VFA process is painful and not for mass production. We seldom see them in the antique market today. If we do, it won’t be that cheap any longer (I have seen one Observatory Chronometer at about USD25K). The 45G VFA were sold with guarantee of +/- 2 sec per day and mean monthly accuracy of +/- 60 sec for two years. Incredible accuracy and confidence in the products for general public, even more so by today’s standard. 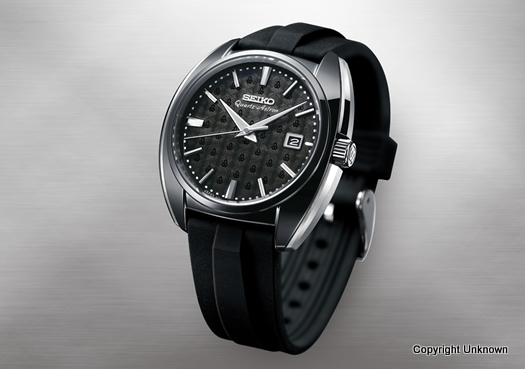 1969 is the year SEIKO launched its first quartz wrist watch: Astron. 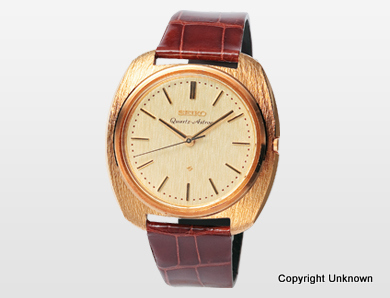 And in the same year, it sold the Observatory Chronometer as well as Grand Seiko 45G VFA. 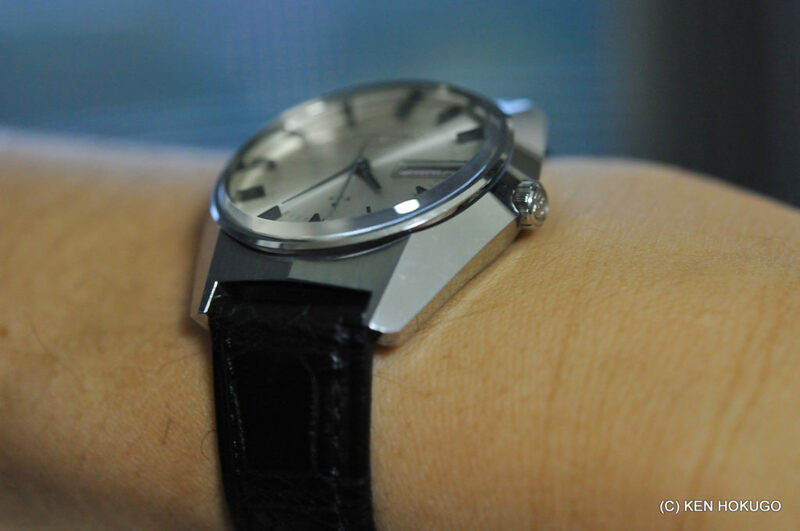 It is an interesting generation change from the peak of mechanical watch to quartz. A few years after that, mechanical Grand Seiko ceased its existence for 25 years until 1998 when the mechanical Grand Seiko was revived. 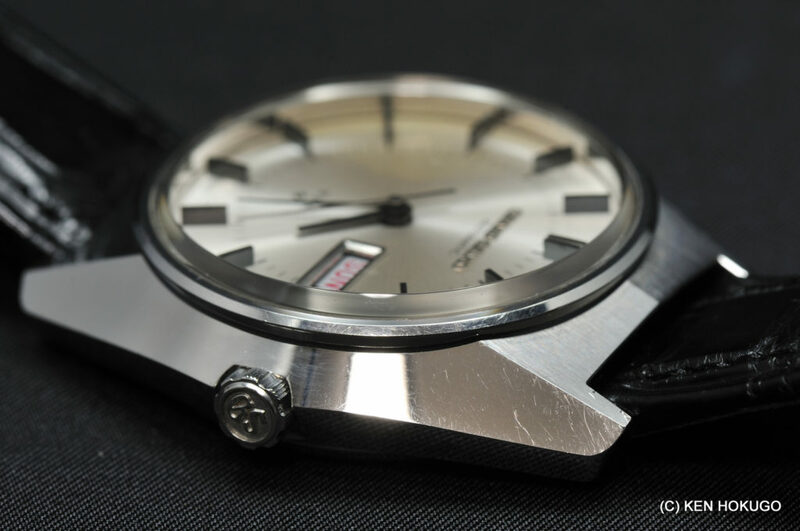 Note that “Astron” was created at Suwa SEIKO-sha, and Observatory Chronometer and Grand Seiko 45GS VFA were created at Dai-Ni (The Second) SEIKO-sha. 45GS VFA – too legendary and rare to find one, even its photo on the net. 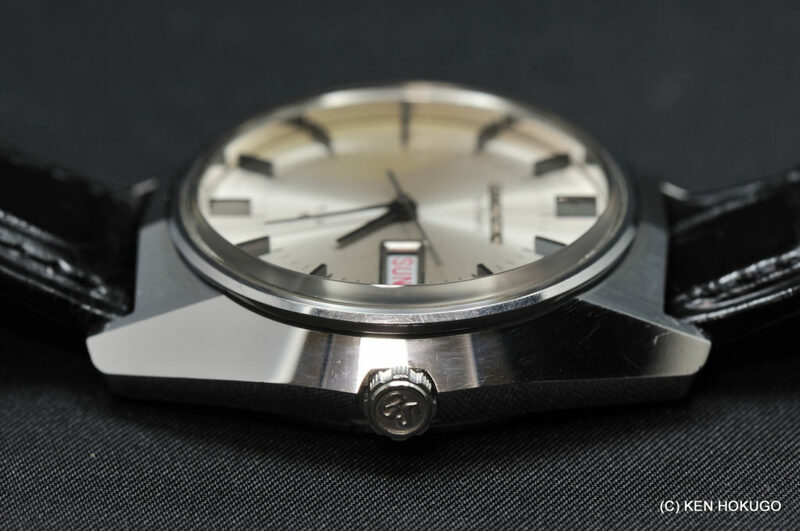 Grand Seiko 61GS VFA pictured here (ref 6186-8000) was released in 1972 and made by Suwa SEIKO-sha, while 45GS VFA was made by Dai-Ni SEIKO-sha. There was, and still is, a little bit of “sibling rivalry” between those two. 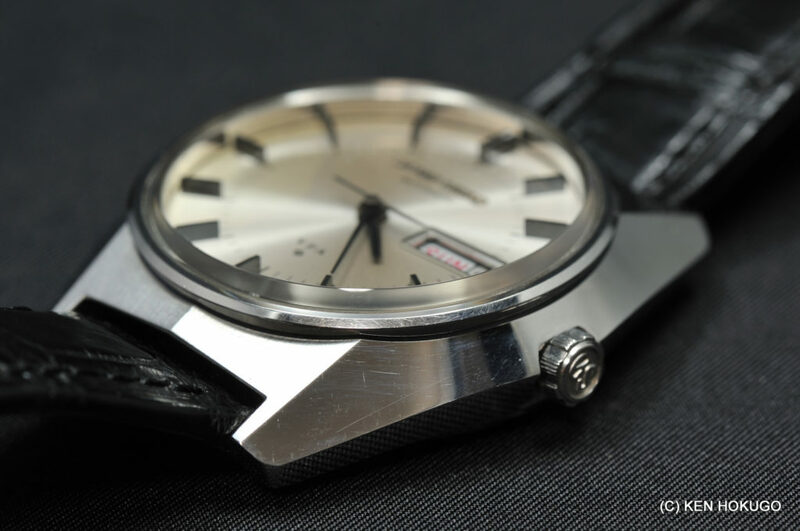 This model was truly the last of the original mechanical Grand Seiko, as we know it. 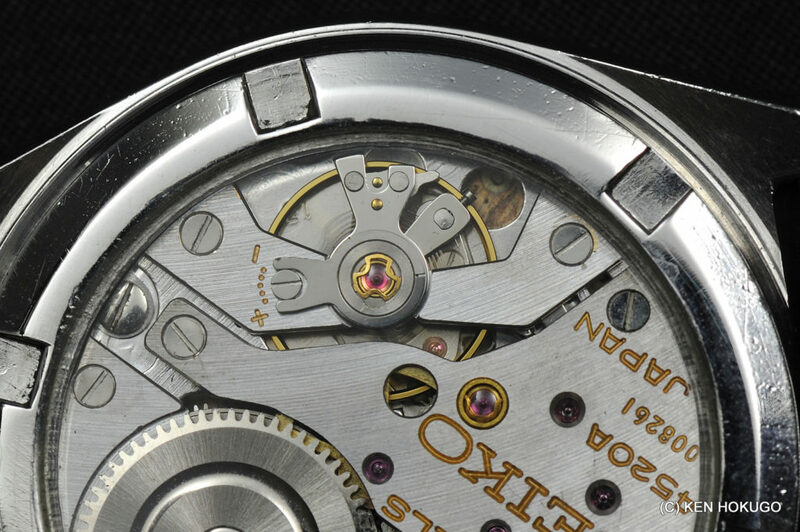 “VFA” stands for “Very Fine Adjusted” as engraved on the movement, and as the acronym means, it was adjusted by the finest of Suwa SEIKO-sha. The total number made is unknown, but it should be in the small number. This model still shows up once in a while in the market, luckily. 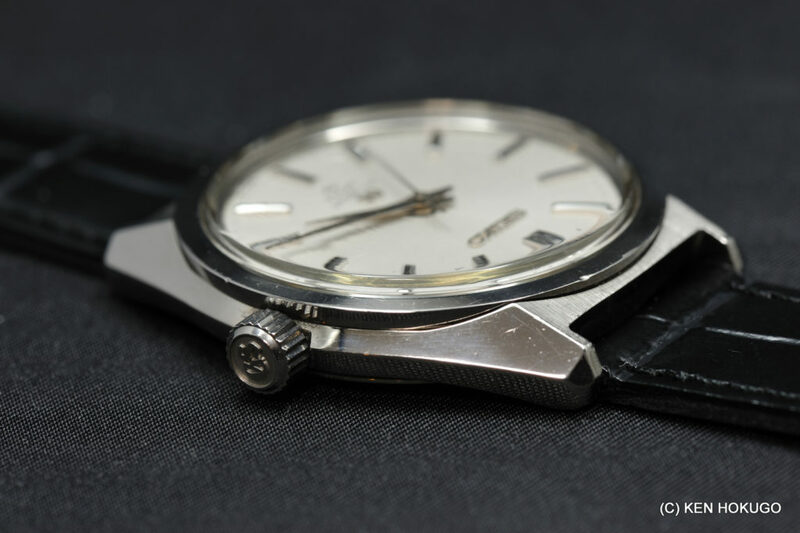 It is also interesting to note that the one of the adjusters at Suwa SEIKO-sha, who must have worked on this 61G VFA and who also won the “Best Adjuster” at Neuchâtel Competition, was a woman. Considering the conservativeness and lagging of Japan’s gender equality, this is very noteworthy. This example is in pretty good shape, especially the dial and hands have little to no damage at all. I had the screw back replaced by the sapphire glass display back (too good to be hidden), and had it serviced. There were some rusty parts, but they did fine job to clean them up. Please enjoy those photos. I may have to or want to bring it in to SEIKO service center to adjust even finer in the future, if it is at all possible. Display back is so much fun – too good to hide. « Very Fine Adjusted ». 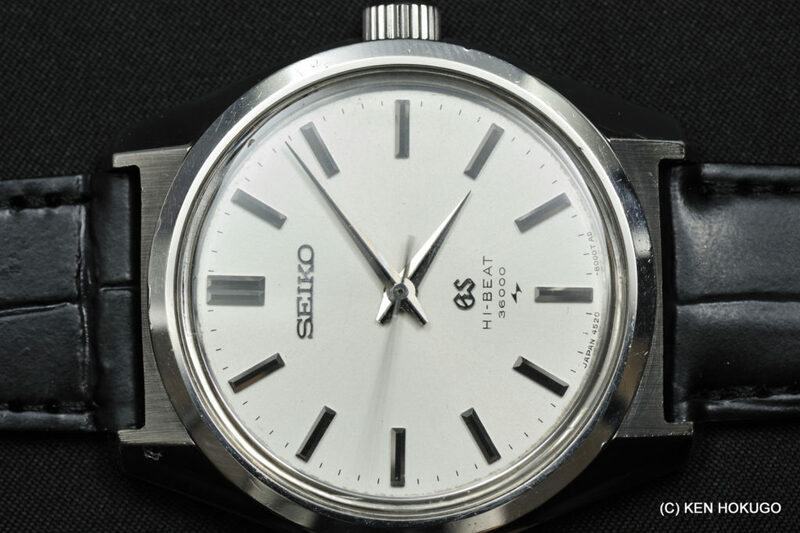 In the vintage SEIKO lovers community here, it is widely believed (YMMV) that the best caliber SEIKO has ever produced were Cal. 45 (manual) and Cal. 61 (automatic). Naturally, as I got interested in Cal. 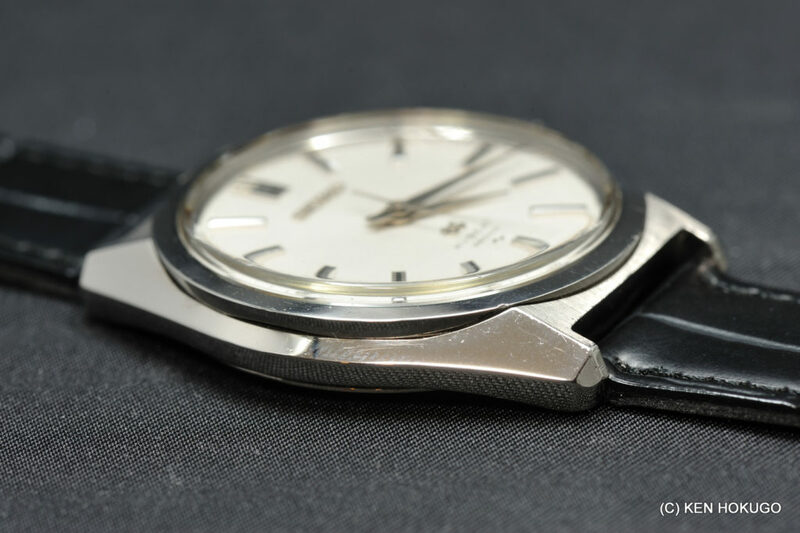 45 as well, I bought pre-owned vintage Grand Seiko 4520-8000. Yes, exactly the same movement as the ones which obtained Observatory Chronometer Certificate in 1968. It is almost impossible to find 45 Grand Seiko VFA today 🙁 The non-VFA model is still relatively more available at very good price. And, of course I had the case back replaced as well. 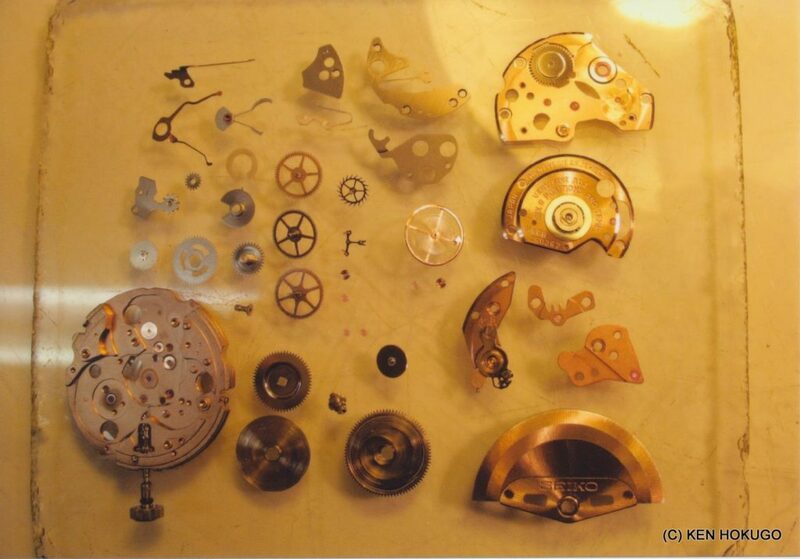 But be warned that due to the popularity of the movement, the many parts including the main spring for Cal. 45 is getting very scarce and extremely hard to find the replacement if and when it is broken. 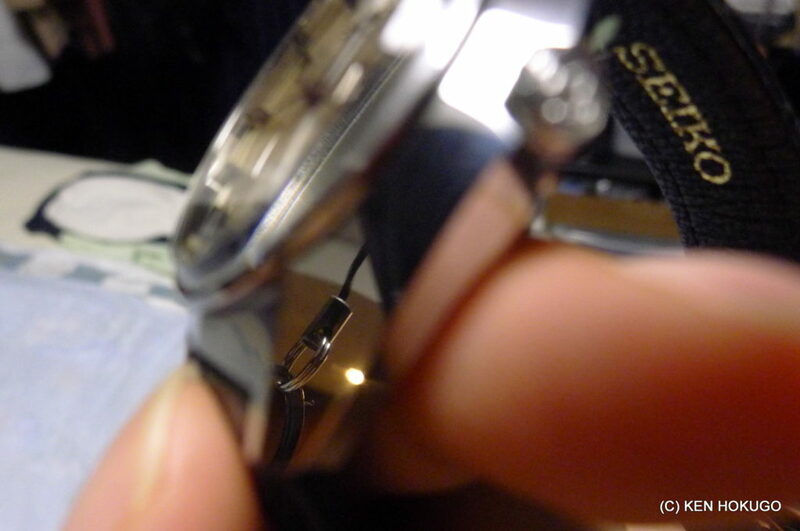 As the servicer did a fine job, my 61G VFA now gains on average 3 sec per day on wrist. And 45GS loses on average of 4 sec per day on wrist. Nothing to complain here although no longer +/- 2sec per day as guaranteed almost 40 years ago. 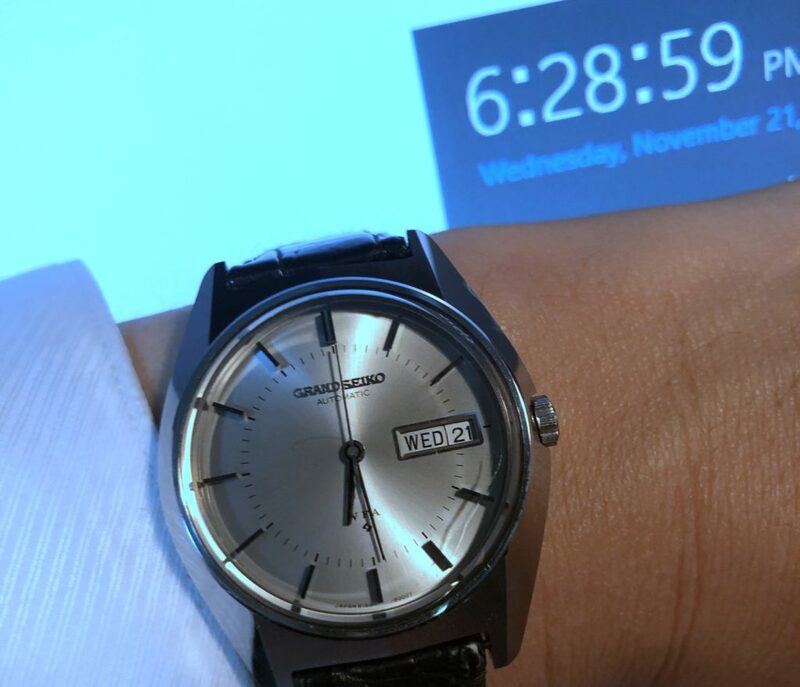 Modern Grand Seiko has more rigorous standard than what COSC requires today, but still -3 to +5 per day (in 6 positions). 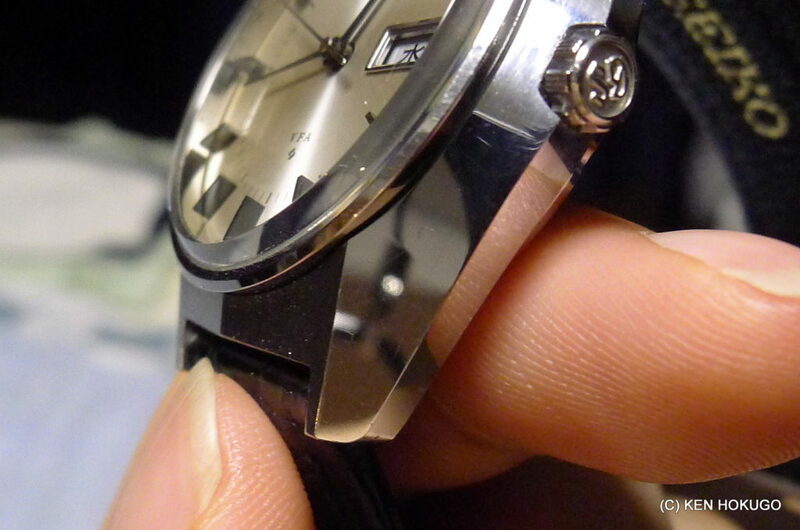 But SEIKO can do much better than that, in my opinion…. Which one would you like better? 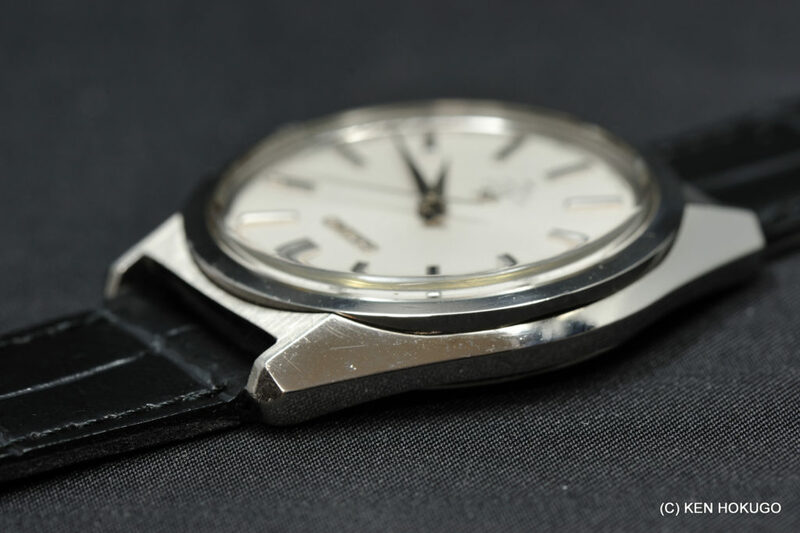 After the explosion of the quartz boom (as well as Bulova Acutron before it) that coincidentally started almost at the same time as the pinnacle of its mechanical movement marvel, SEIKO unfortunately stopped or slowed down its effort on mechanical watches. 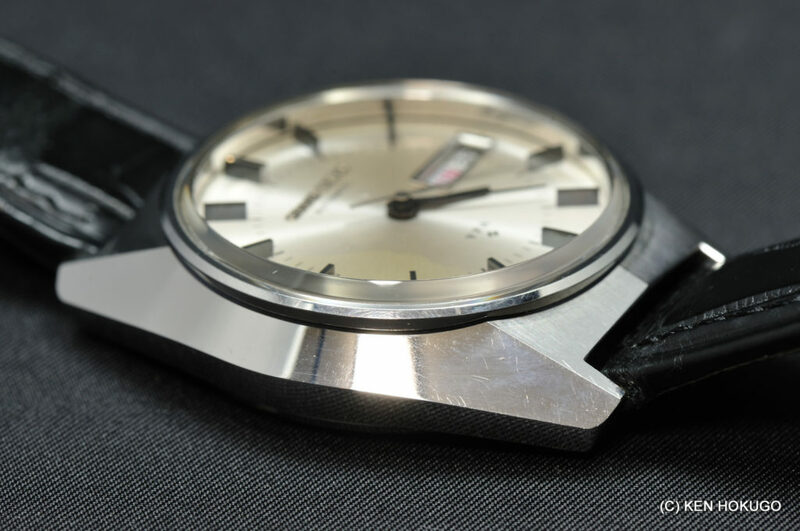 The industry in Switzerland did get greater impact back then as well, but relatively speaking, SEIKO has made a bit less effort on mechanical movement than Swiss counterparts for a few decades. 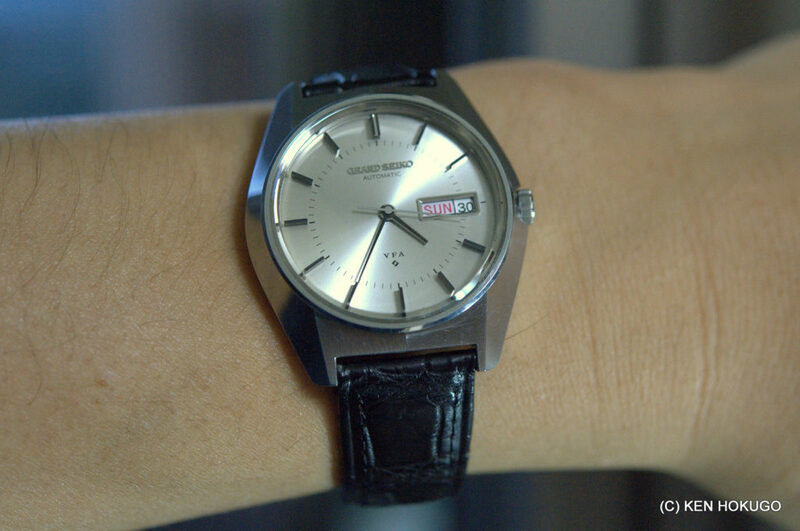 Grand Seiko did make comeback in 1988 with Quartz movements of +/- 10 sec per YEAR accuracy, but the comeback of the mechanical Grand Seiko had to wait for another 10 years until 1998. I wonder when (or whether) we will see the totally mechanical grand complication from SEIKO like its Swiss peers one day. I am very much looking forward to it. 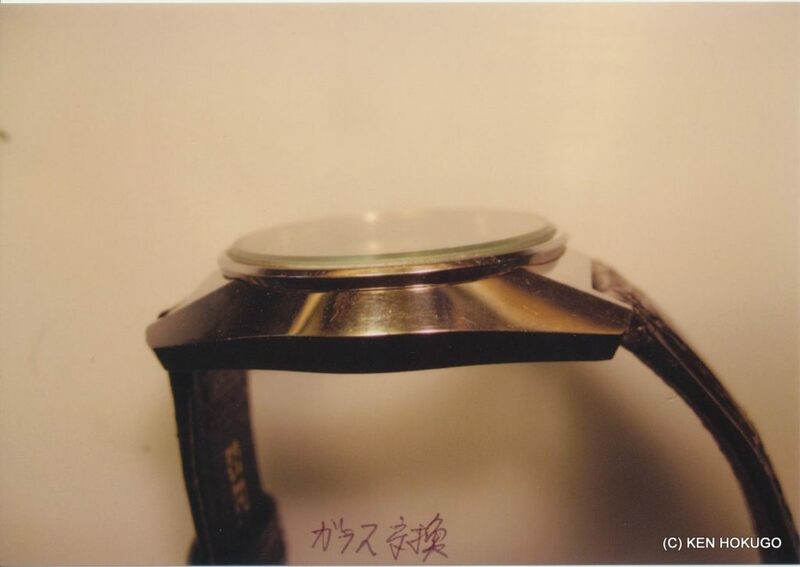 Here is a great story about one of the suppliers for Grand Seiko in the disaster area – “Hayashi Seiki (Hayashi Precision – “Hayashi”)”, who has been the case supplier to the Shizukuishi Watch Studio for a very long time. The Hayashi factory was near Shizukuishi but hit much harder than SEIKO factory. Hayashi was in the peak of making the cases for the 130th Anniversary models when the big quake hit at 14:46 on March 11 this year. The factory building almost collapsed, but what Mr. Hayashi, CEO, thought first was to salvage the cases which had been in the middle of production. Platinum and some yellow gold cases had been cut and were being polished, and stainless steel cases just finished the cutting process. Every employee entered the collapsed building and salvaged all of them, none of them had to be dumped. Hayashi decided to move the production to inside the Shizukuishi SEIKO factory and 12 days after the quake, they started extracting most of the machines from the former collapsed factory, reinforcing the building with 600 steel and wood support beams. And just in 20 days, most of the machines were safely moved out of the half-collapsed factory. By the middle of April, just one month after the quake, they already started polishing and assembling the cases. On June 6, less than 3 months after the disaster, they resumed the normal operation: forging, cutting, polishing, and assembling at the new site. Mr. Hayashi now recollects why he first thought of salvaging the cases, not anything else, “because it was the 130th Anniversary models and they were very special cases”. Simple but considering the circumstances, astonishingly professional thought process. 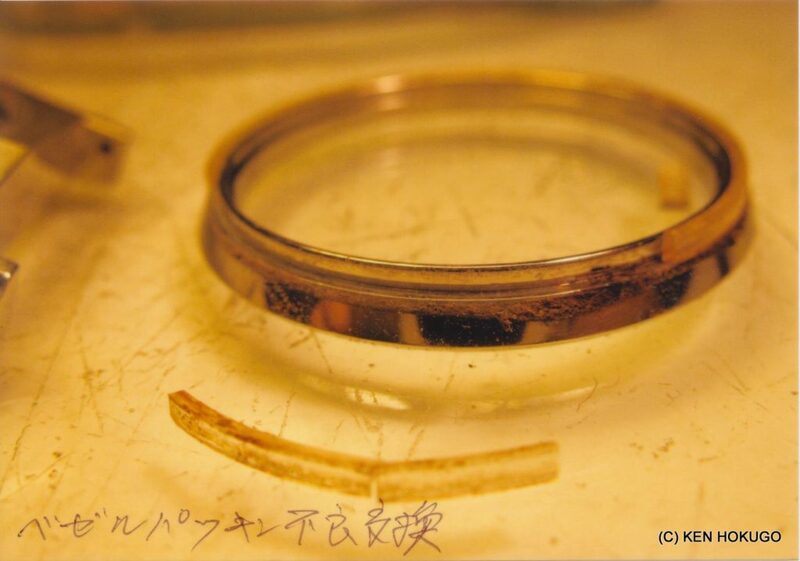 Please, those who luckily acquired 130th Anniversary Grand Seiko, I do hope you remember this story and these people behind it whenever you see and wear it. What you got there have gone through such an extraordinary ordeal. 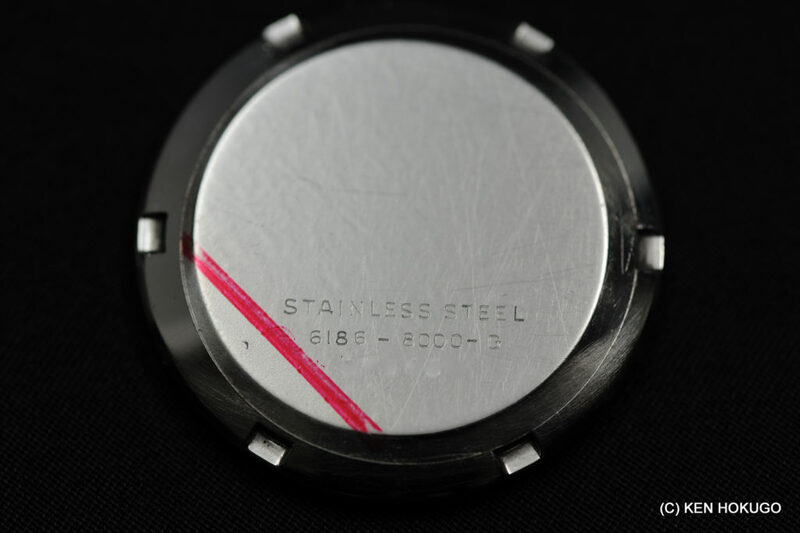 FYI, Grand Seiko SS cases go through 10 to 12 times of forging (at least twice the peers) with 250 tonnes of pressure and about 1100 Celsius of heat, and then cut and polish. 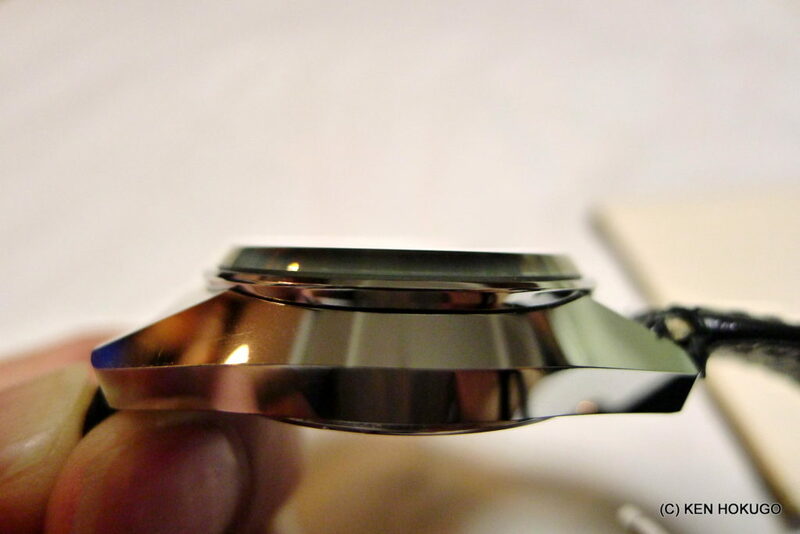 This is how and why Grand Seiko cases have mirror-like reflection and there are probably only a few other manufacturers in Switzerland who do cases at this level. 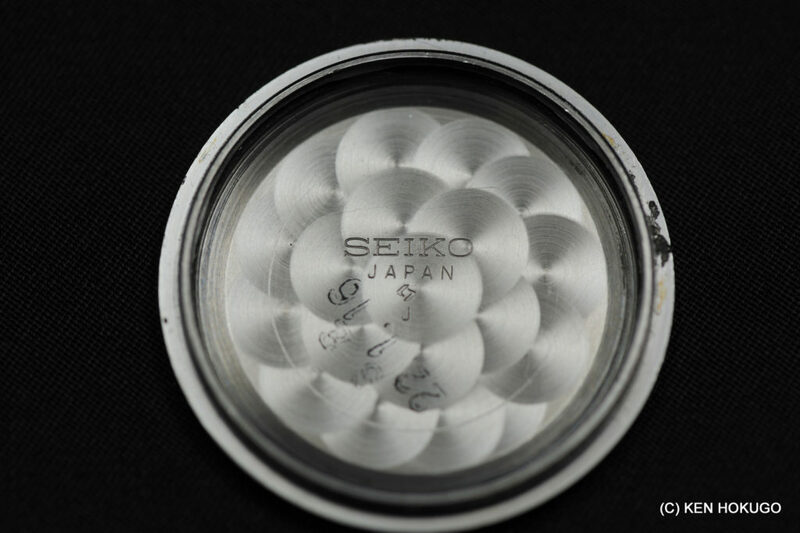 Grand Seiko cases are polished by special machine: Sallaz polisher (originally imported from Germany in late 50s, polishing company called Sallaz). 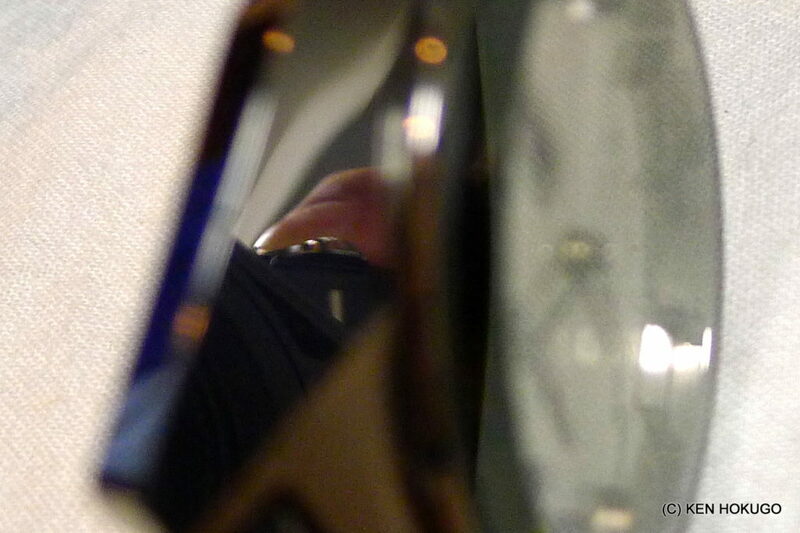 The surface of the case becomes truly like mirror. 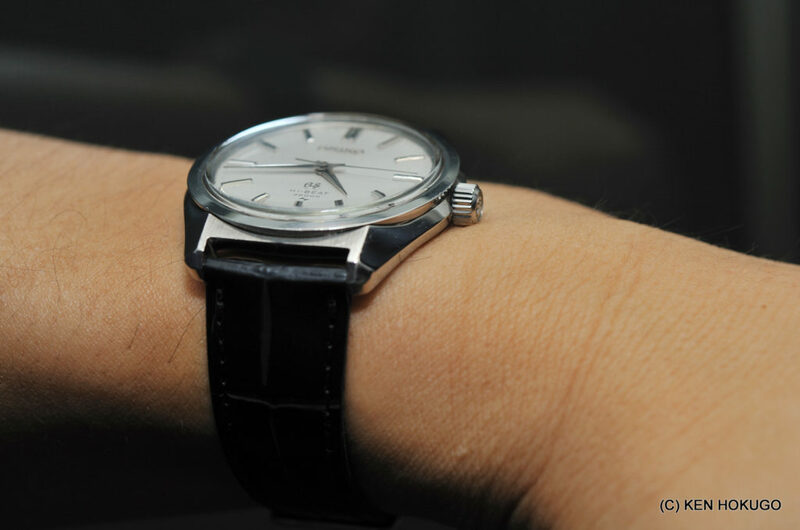 Mr. Hayashi wanted to make 130th Anniversary models just like the original Grand Seiko in 1960, inside out. Thank you for reading such a lengthy note. – .. and carefully selected various information sources in both Japanese and English, including internet and books, old magazines as well as people. Seven years have passed since I wrote this article, so I want to give you some update. I got more knowledge and experiences, I got more matured and now have different perspective on collecting watches as well as the industry, community, etc…. I have left the once-well-known watch community (well actually have been banned simply because I posted the “goodbye” post – my 10 years have been flushed down the toilet) and joined the new platform created by the fellow moderators of the said site – if interested, go to Luxe178.com. 1. The 61GS VFA was sold to another collector on the premise that he will never sell, but alas, he sold it on to someone else after a year or two, maybe less. I hate such a behavior. But that’s okay. That happens and I hold no grudge about such a small thing. I might do the same thing, I admit. Luckily, I got even better example WITH PAPER, single-owner used example in great shape, which has been similarly adjusted by the hands of God (Akira Ohira), so no complaint here. 2. One very important fact about the 61GS VFA was found out by the God of Adjusment/Akira Ohira. Glass is cut diagonally like a part of the mountain slope, but not only that, the glass from the side must look black-ish. I don’t know how it was done, but the glass is only for the 61GS VFA. Not totally clear glass (with enough light, it can be somewhat transparent, but with normal light, it is black – talking to a vintage dealer who has seen this model a few times told me that it is the first thing to do for the vintage dealers to check whether the glass is original). So the first one I used in the above article and then later sold has non-original glass. BUT, what the heck. I am not in a vintage cult, so doesn’t matter too much. Appearance is important for me. If the dial is ruined, I want it to be replaced. If the case is too much polished and the edges are dull, I may re-consider. If some parts need replacement in the process of restoration, I wouldn’t hesitate. Some people are so crazy about « original » but nobody can be sure that what you have is totally original including parts. 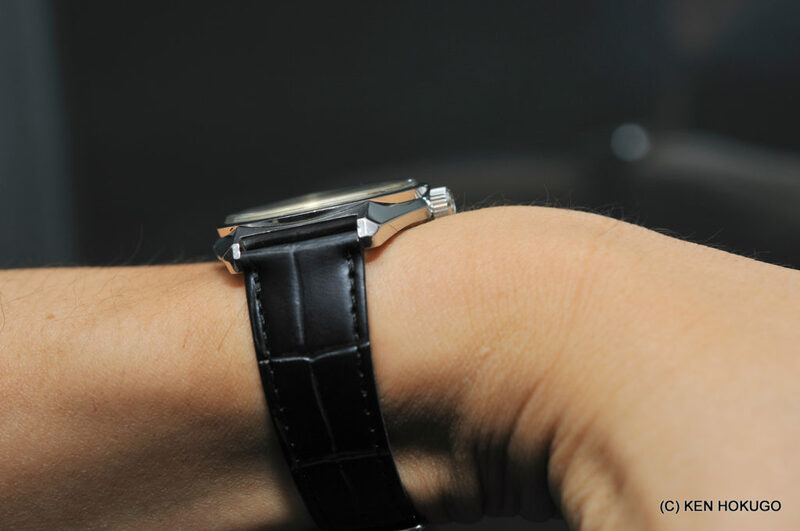 It is more imporatant that the watch is lovable and you would love to wear even everyday. That is how the vinatge watches want to spend the rest of their lives. Not in the safe, not in the collection box, but ON YOUR WRIST. SEIKO vintages are made so well and it won’t let you feel its age and you can enjoy everyday as if it were one of the modern models. 3. During daytime working on the wrist, after almost 5 years of God’s hands’ adjustment, this still runs far less than 1 second fast (of course, depends on the season, how much I move or not, humidity, temperature…). 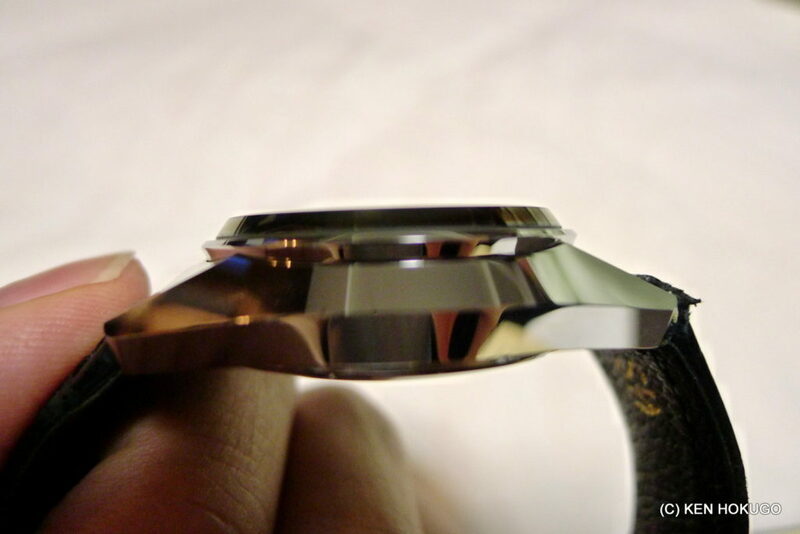 But my point is, this watch is made THAT good…. 4. Shizukuishi Watchmaking Studio vs Shiojiri factory. 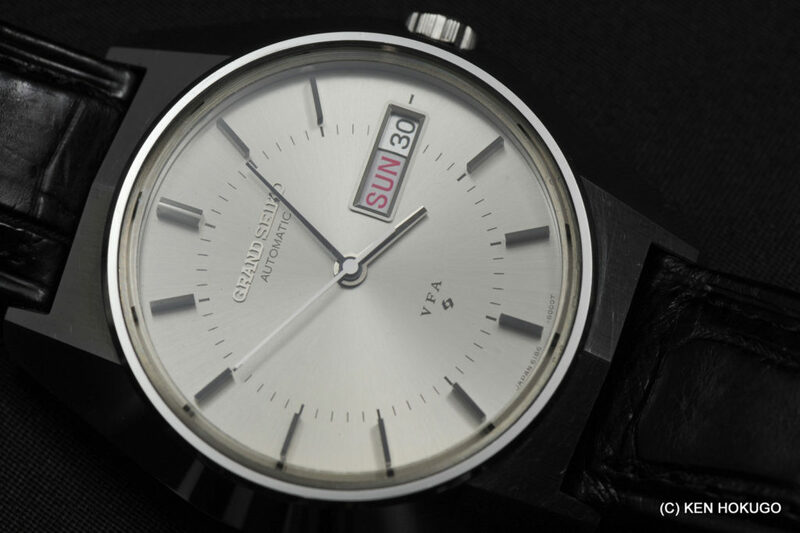 As you may know, mechanical GS watches are made in Shizukuishi (Iwate Prefecture – northern part of the Honshu island, about 2 hours from Tokyo via the bullet train), and quartz and Spring Drive GS watches are made in Shiojiri (in Nagano Prefecture – relatively in the center of the Honshu island, about 2-3 hours from Tokyo via the bullet train + non-bullet express train). Shizukuishi belongs to SII (Seiko Instruments Inc.) which also makes the parts for cell phones, small HDDs, and many other electronics parts, while Shiojiri belongs to Seiko EPSON which is more famous for printers. They are both listed public companies but no capital cross holdings and basically they are totally separated companies. Of the two, only SII is the 100% subsidiary of Seiko Holdings which is the listed company, while Seiko EPSON is a stand alone listed company. The history of separation of those two is rather sad one. 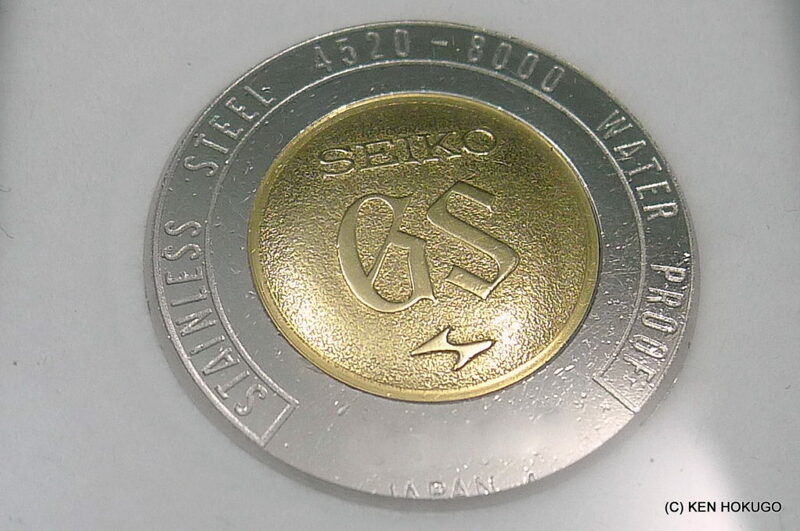 Due to the air raid on Tokyo getting so frequent and severe, Seiko (Daini Seikosha) decided to evacuate Its manufacturing facility to Shiojiri where Seiko accepted some outside capital. After the war, Shioriji factory decided to get independent and that was the start of Seiko EPSON (Suwa Seikosha back then). As for the function of each, Morioka makes mechanical GS or other Seiko mechanical while Shiojiri makes Spring Drive and quartz, roughly speaking. 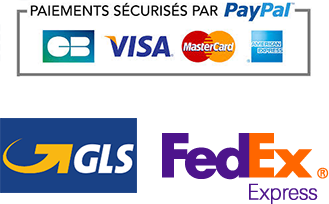 Seiko Watch Company is the distributor of GS and 100% subsidiary of Seiko Holdings. SII, a sister company for Seiko Watch Co. is a supplier to it, and Seiko EPSON, too, is one of the suppliers. BUT, there have been such a growing “rivalry” between the two. 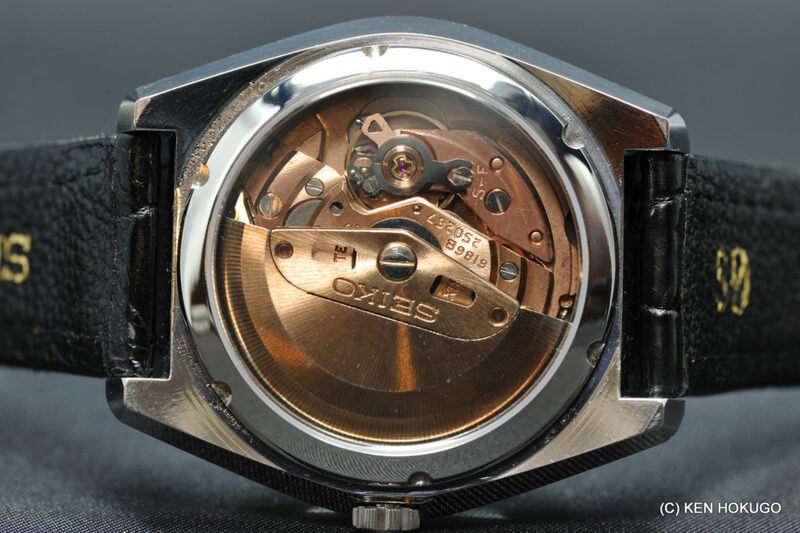 You may remember that Credor made wonderful Minute Repeater – all mechanical – but the watch part is Spring Drive. I should not be the only one who felt some “oddity” about it. That model was of course created by Seiko EPSON and they did not want to (or maybe they could not) collaborate with SII for the watch part. This situation is so odd, and may constrain GS capacity one day. Today, there is more and more demands for GS, and most of the new models are either Spring Drive or Quartz. You see how the Shizukuishi Capacity is at the top capacity right now. So, when you buy a new GS, please make sure it works as it is supposed to, as well as its appearance.